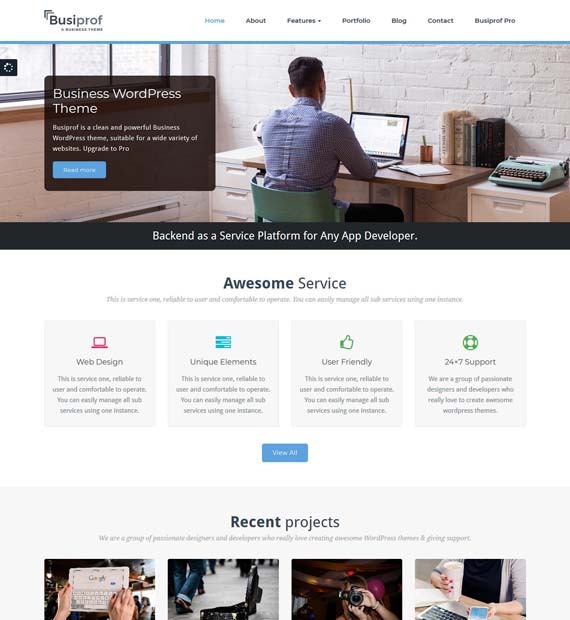 Busiprof is a fantastic multi-purpose WordPress theme that is ideal for law firms, small businesses, online stores, as well as all kinds of creative websites and blogs. With its clean and modern look, you can make a fantastic impression on your visitors. Busiprof is not just responsive but also compatible with a number of useful popular plugins including WooCommerce, WPML, and Contact Form 7. With a considerable amount of customization options, not to mention 10 beautiful templates to choose from, your website will look just the way you want it.